The Arctic Wolf is a beautiful animal and as an adult usually stands around three feet tall and weighs about 175 pounds. They vary in color from white, red, gray and black and can be found across North America and Greenland. Encounters with humans are very rare and to see an Arctic Wolf in the wild is an experience of a lifetime. 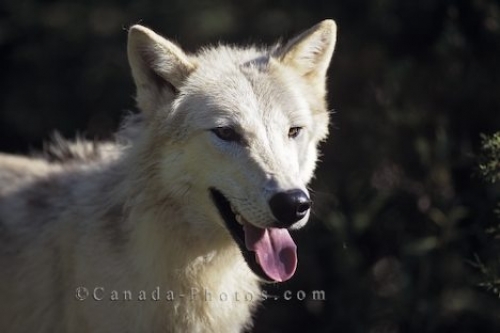 Picture of an Arctic Wolf found in North America and Greenland.